Your sensitivity is your Divinity. It is a sacred gift meant to empower you to live a guided, purposeful and flourishing life, as you inspire others to do the same. Yet—as it was my experience for many years—being highly sensitive also has its share of challenges. Feeling overwhelmed by your sensitivity, others’ issues and world events. Getting drained by negative environments and lower energies. Putting your needs last and getting burned-out and resentful as a result. Having unbalanced, toxic, and disempowering relationships. Setting healthy boundaries and asserting your needs and desires. Feeling disconnected or unsure of your spiritual and life path. Constantly second guessing and not following your inner guidance. Feel too spacey, anxious, fearful or insecure to move forward. Doubting your gifts and path as a lightworker (a spiritual seeker and leader). Experiencing lack, frustration and blocks as you try to fulfill your purpose. But this is not how you were meant to live, beloved. Your sensitivity IS a gift, and I created this divinely-inspired course to help you appreciate just how much of a blessing it is—not just for you, but for the world. Feel empowered by your sensitivity, so you can heal and serve with your gifts. Know how to shield and clear yourself of lower energies. Step into true self-love by nourishing your mind-body-soul with powerful daily rituals. Create healthy, balanced and honoring relationships with mutual love and support. Stand in your power and speak your truth clearly, lovingly and gracefully. Tune into and trust your divine guidance to co-create your best possible life. Feel grounded, peaceful, present, content, secure and motivated on your blessed path. Understand and own your spiritual gifts and honor your path as a powerful lightworker. Manifest support, abundance and opportunities on your divine life purpose. All this and more is not just possible for you, it is destined for you. It is your divine right and inheritance, beloved. Because you were meant not just to heal your own struggles as a sensitive soul, but to become a shining beacon of light for others, too: To heal and inspire with your own living example of someone who embodies self-love, self-worth, self-empowerment, and honors their sensitivity—and spirituality—each day.The world is waiting for you—not someone like you—to shine your light and lead the way, and inspire them on their journeys too. It’s time to reclaim your power. It’s time to let your sensitivity become the gift it truly is – blessing you and others along the way. This course is my sacred offering to support you on this path, beloved. Over powerful video lessons that you can take at your own pace, I will teach you essential practices to help you nourish your sensitive mind-body-spirit and flourish in all ways. As a certified yoga teacher, I HAD to gift you two yoga videos to help you start and end your day, beloveds! Doing these short but complete 20-minute yoga practices (open to all levels) will help you feel clear, centered and empowered no matter how busy you are! On Day 9 of your course enrollment (after all content has been delivered), you will also receive downloadable files for all Guided Meditations (as mp3s) and both Yoga videos (as mp4s). These gifts are yours to keep, so you can listen, watch and enjoy any where, any time! To see all the empowering Sacred Self-Care teachings, tools and practices I will be sharing with you, simply click the course outline below. To support your success, each lesson and its gifts will be released to you progressively, one per day (whether or not you complete it). Working with me one-on-one to receive all these teachings and tools would be an investment of well over $1,500. But, because I know how essential this Sacred Self-Care course is to every beloved sensitive soul, I am offering this labor-of-love for less than the cost of a single coaching session with me – for only $147! Including all the bonuses, which are valued at over $300! For less than the cost of a single coaching session with me, you will have lifetime access to these timeless and essential practices and tools to fully support you in living in your full light, joy, purpose and power! PLUS: Risk Free, 100% Satisfaction Guarantee! Your satisfaction is paramount to me, Beloved. To ensure you resonate with my style and approach, I encourage you to explore my free offerings before purchasing the course. Still, if after taking the course you are not happy with it, simply send an email to team@flourishinggoddess.com within 7 days of your purchase and: (1) Show us that you completed the lessons you received (we will verify this on our end) and (2) Let me know how I could have served you better through a short feedback form, and I will issue you 100% refund and cancel your enrollment. I believe with all my heart that this course is essential for all Sensitive Souls, and I hope that if your heart says a resonant Yes! to this investment into your Sacred-Self Care, that you now feel completly confident in making it. Because as a highly Sensitive Soul, you need and deserve this powerful, priceless gift, Beloved. Get the Complete Course Outline below to see all the wonderful lessons, tools and gifts you will receive! Questions? Please contact Team Syma at team@flourishinggoddess.com and one of our lovely assistants will get back to you within 24 hours during weekdays. Welcome to the Course, Beloved! Sacred Pampering: Rituals to Delight Yourself! Even More Ways to Nourish Yourself! Why it's Time to Take Back Your Power! It's Time to Honor and Expand Your Sacred Self! You have Completed the Course, Beloved! 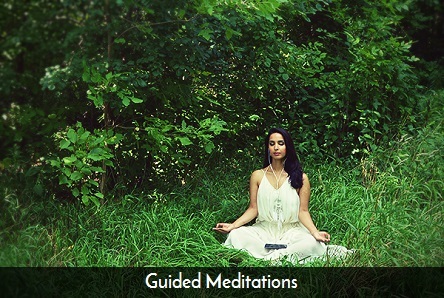 Bonus Gift: Download All Meditation & Yoga Files! Here's Your Secret Download, Beloved! Gift yourself this essential course, truly beautiful! These practices are going to stay with me forever Syma, you are my forever life coach! I was so lost, trying to find my light and myself, so confused, desperate and wounded. This course is so so powerful and effective and I really recommend for all fellow sensitive souls to 'gift' yourself this course. The price of this course is really nothing compared to the beautiful gifts I have received from this! And these gifts keep expanding with time! I have healed so much, I literally don't feel sad anymore. All I have with me right now is my true self and unconditional love for my own self! And these are actually helping me to further heal my deep rooted wounds.. Syma, through this entire course, I saw you as the gentle divine light supporting and guiding me to walk on my own path by myself-'be on my own', guided by my intuitions and guidance and embracing my-own-self. Thank you! Syma truly understands the struggle of being so attuned spiritually but not being able to express ourselves and feel balanced in the 'real world'. This course is a must for anyone who has been criticized or even felt bad about being 'too sensitive'. Every single lesson has an uplifting and powerful message. You can tell Syma's advice comes from the heart but she also shares practical tips you can put into action that same day. Syma teaches you exactly how to connect with the Divine and make use of spiritual gifts. The meditation recordings and yoga videos are another element that make this course unlike anything else out there for those who might need support in this area. I highly recommend this course (and Syma's work!) to anyone who needs genuine guidance to make sense of conflicts or struggles in life as a sensitive soul. Very useful tools for our daily life. Thanks a lot.